My trip to Bodrum was amazing this time! Even though I didn’t do much at all. 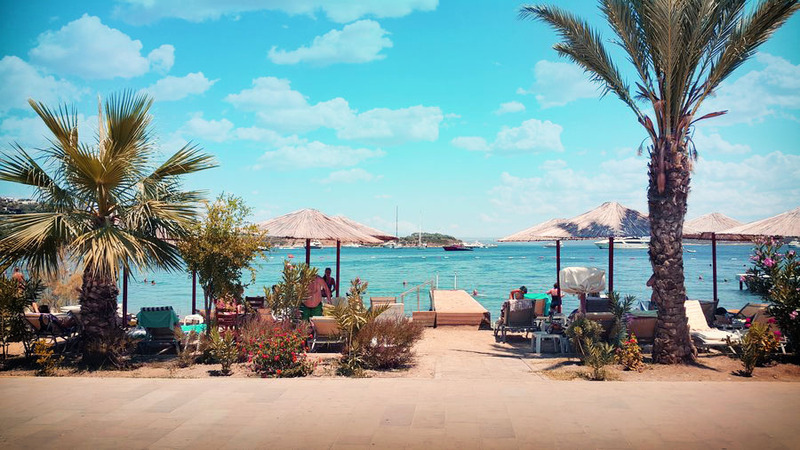 Usually I go around, visit places, go out for dinner etc, but this time I decided to stay put at the LifeCo branch in Bodrum and indulge in 5 days of ultimate self-care: Fasting, Turkish Hamams, Massage and simply enjoying the sunshine by the pool. And yes, I also wrote this article and a lot of other things being the busy bee that I am. Getting a good tan going always makes me want to wear white, and besides that white is a great “color” for summery days. Those who’ve ever had the privilege to look into my closet also know I own about 683 pairs of jeans, and yea this is one of my favorites; light in color and a great fit for summer. These jeans are from Mango and the top is from Zara’s new summer collection. The golden chain is from Forever 21 and bracelets and rings from different shops, can’t really remember where I got them. I usually spent my days at the LifeCo’s cozy pool and went for strolls in the late afternoon. I sat in the big swing-chair at the cafe on the beach to have a herbal tea and watch the ocean. Göltürkbükü beach is such a pleasant stroll, passing by numerous stalls and shops, cafes and restaurants. 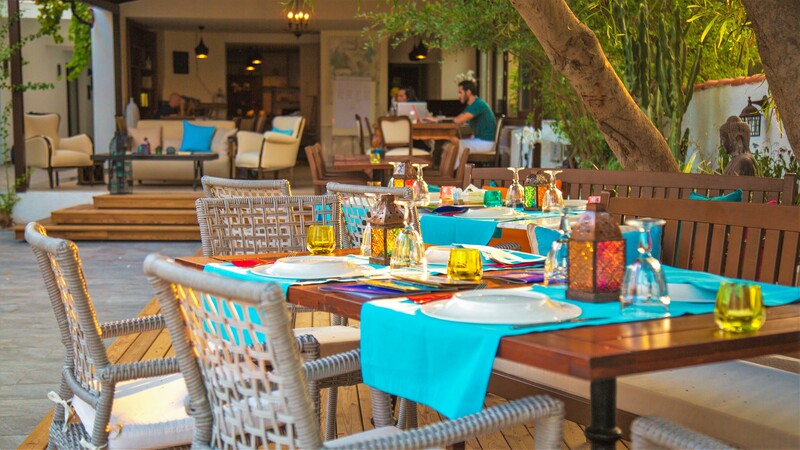 I also recommend having a proper Turkish dinner here with fresh fish and a wide variety of veggie mezze dishes. So yum. In Turkey I always go by how many people are sitting in the restaurant, this usually indicates whether it’s a good one. My to-go-to area in Bodrum is the Yalikavak Marina, also known as Palmarina, maybe the biggest luxury yacht marina in Turkey: https://www.palmarina.com.tr/. It has a wonderful strip of luxury shops, restaurants and cafes along the water and endless “parked” luxury yachts. Here the rich and famous of Bodrum stall their precious boats and enjoy the good life. 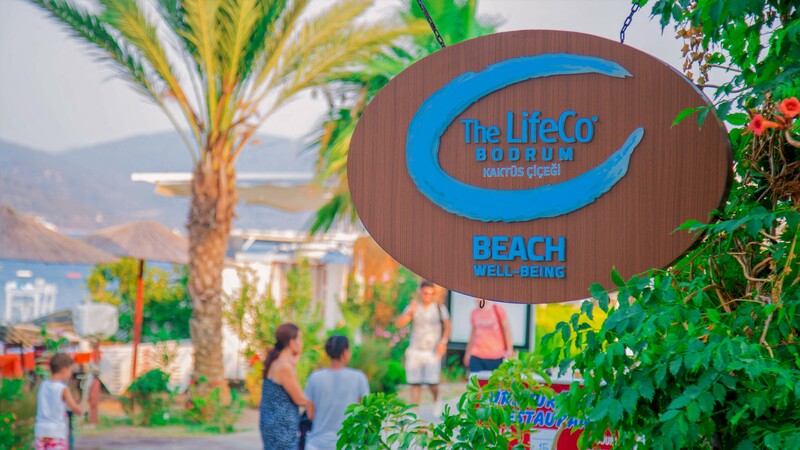 Strolling down the marina you will find luxury clothing and swimwear brands, gourmet cafes, restaurants, furniture shops and even a fitness center. I truly can’t get enough of this place. Love the vibe, the people and the fashion over there. 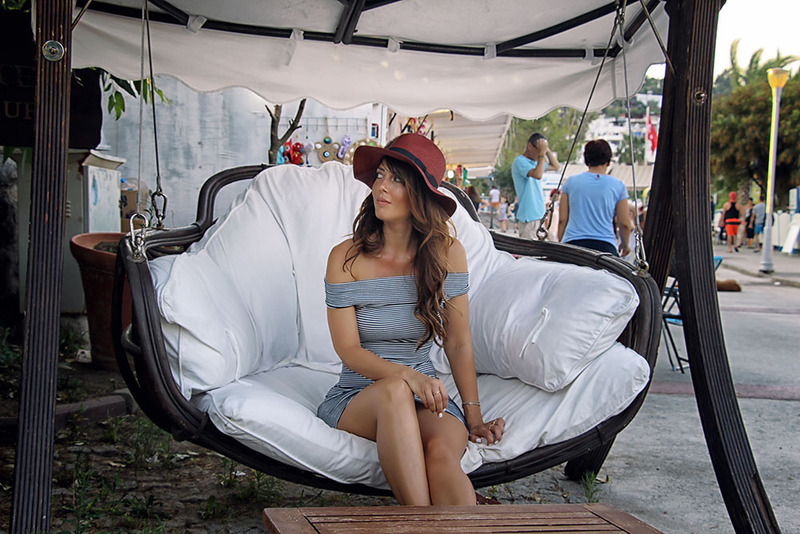 One of my favorite shops over there is Mudo Concept, which is where I got this cute hat from on the pic above (it is made of 100% paper :-D) . Further clothing deets for the image above: Striped navy dress from Mango, black & brown leather bag from Zara and basic black strappy sandals are from Aldo. Rings and bracelets are from different shops. I’ve done another post on this look HERE.